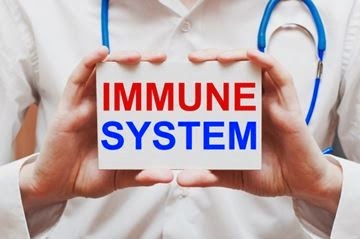 We all want a strong immune system. Who wants to have to deal with every cold, flue and stomach bug that comes along? Especially those with children! Here are some does and dont's for improving your immune system and avoiding all those annoying illnesses that are going around. · Stay hydrated! Drinking enough clean clear water is essential for a healthy immune system. How much is enough? A good rule of thumb is to take your body weight in pounds, divide that number in half and make it a goal to get that many ounces per day. Many people find that if they make it a goal to get half their ounces before lunch that it makes the day go smoother. This does not include coffee, caffeinated teas, sodas, soups or other liquids. It can include weak herbal tea, but the best policy is to only count clear water. · Eat a healthy diet. The definition of ‘healthy’ varies from person to person. For the immune system healthy does not include any processed foods, even if they come from organic sources. It also does not include any commercially grown meat and dairy. These contain antibiotics that lower the immune system. · Get some moderate exercise. Intense exercise can lower the immune system, but moderate exercise improves it. Sitting in front of the TV or computer all day is not exercise. · Make sure you are getting enough sleep. Humans need anywhere from 6-10 hours of sleep every night. You can’t make up for it on the weekends. The key is to go to bed when you are tired and wake up without help when you are rested. · Detoxify. Anything that makes you poop or sweat is activating your internal cleaning systems. In addition you can eat foods like garlic, onion, cruciferous vegetables, parsley, and cilantro to encourage your body to clean house. A fun and relaxing detox is an old fashioned Epsom salt bath. Add some essential oils for more of a boost. o Omega 3 fatty acids. These can be found in organic meats and dairy as well as flax seeds and fish oils. o Probiotics. The best sources are home fermented foods. Commercially fermented foods may not have any live bacteria in them; you have to read the labels carefully. You can also take probiotics as a supplement, to ensure the widest variety of good bacteria possible. o Vitamin D3. This is the hormone our body makes from cholesterol. It happens when sunlight hits the bare skin. Many experts say we need a minimum of 15 minutes of total body exposure per day. I don’t know about you, but I am not about to stand outside naked in freezing weather. A good substitute is a D3 supplement. Most experts recommend 5000-10,000 units a day, but your doctor can monitor your levels to keep you in the safety zone. o Herbs. Along with garlic, Astragalus, Echinacea, Cat’s claw, goldenseal, uva ursi, olive leaf, oil of oregano, have been shown to either boost the immune system or directly fight bacteria and viruses. o Look for some raw dairy products. Raw dairy boosts the immune system, while pasteurized dairy inhibits it. Look for products from organically grown animals to avoid the antibiotics and hormones that also inhibit the immune system. · Sugar, even the ‘healthy’ sources like honey and maple syrup. Stevia is one of the few natural sweeteners that don’t seem to impact the immune system. All artificial sugars are worse than the white stuff. · Alcohol. Moderation and careful choices are key. The occasional beverage won’t impact you much, but getting drunk every night is never good for you. Along with everything else it makes you dehydrated. · Stress. Multiple studies show that stress weakens the immune system. This includes anything from being a perfectionist, trying to accomplish too much in a day, to grieving. If you find you have trouble saying no to additional problems, putting aside past hurts, or letting go of your grief look for help. There is nothing weak about seeing a counselor. They can help you put things in perspective and possibly teach you some tools like EFT. If all of this looks like a recipe for overall healthy living, you are right. That is the key to keeping your total body strong and healthy, including your mind. Even our thought patterns impact our immune system, and therefore our overall health.